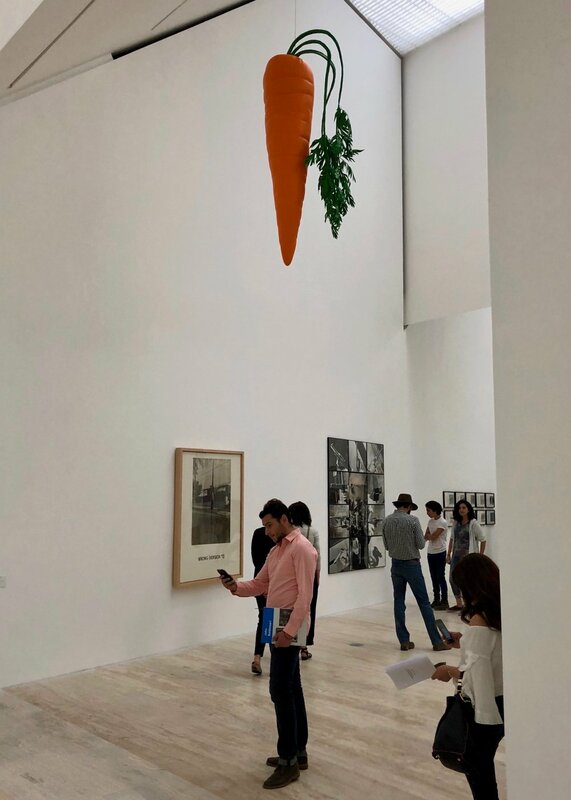 John Baldessari's newest sculpture is Penguin, 2018. The work has been installed in London's Regent's Park for Frieze Sculpture 2018, featuring 25 artists and running through October 7th. Recent Instagram posts suggest a summer forecast of sunny skies with a chance of clouds. Congratulations to John Baldessari on his exhibition at Marian Goodman Gallery, New York. All Z's (Picabia/Mondrian) will be on view until June 22. Congratulations to Tavares Strachan on his inclusion in the 2018 Carnegie International. Congratulations to Kay Rosen on the opening of her Stirring Wirds exhibition at Alexander Gray Associates, New York. Charlotte Burns of Art Agency Partners recently sat down with Tavares Strachan to discuss his broad ranging practice and new funding models in the art world. Congratulations to Charlotte and AAP on this podcast series. Our favorites to date include episodes with Jerry Salz, Tom Sachs, and Glenn Lowry. For those braving the nor'easter storm to visit The Armory Show, don't miss our 2014 sculpture collaboration with Ahmed Alsoudani. 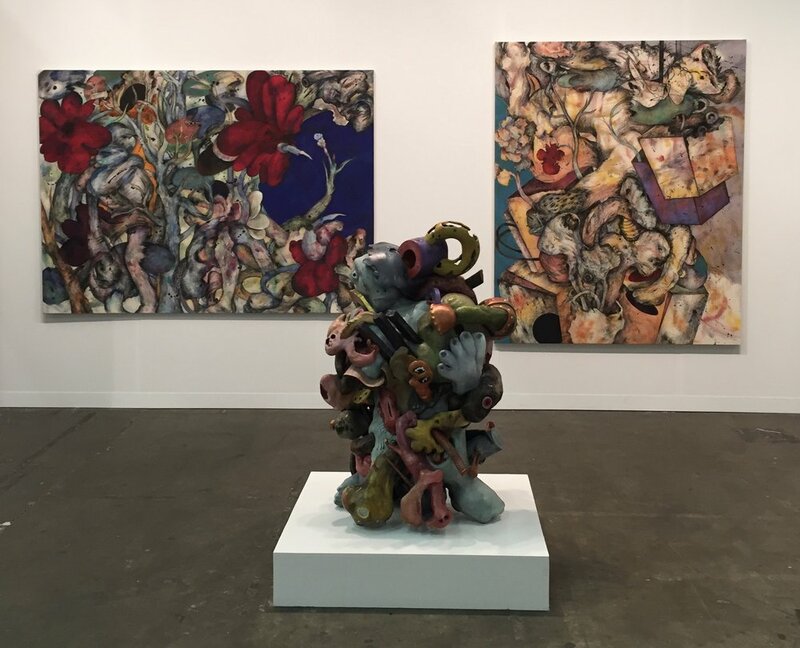 The work stands alongside two of the artist's paintings in the booth of Marlborough Gallery. The juxtaposition illustrates Alsoudani's seamless transition from painting to sculpture. Congratulations to Petra Cortright on the opening of CAM WORLS at UTA Artist Space. The exhibition is the first large-scale survey of the artist's video work, presenting 50 videos made from 2007-2017. Congratulations to Ahmed Alsoudani on his exhibition of new paintings opening September 28th at Marlborough Contemporary, London. An exhibition catalogue with essay by David Rimanelli will be released alongside the show. Beyer Projects is pleased to announce our first collaboration with Polish-born artist, Agnieszka Kurant. Quasi Object is a kinetic sculpture utilizing internal robotics to delightful effect. The work will debut on September 22 in the Bonner Kunstverein exhibition, The Policeman´s Beard is Half Constructed: Art in the Age of Artificial Intelligence. 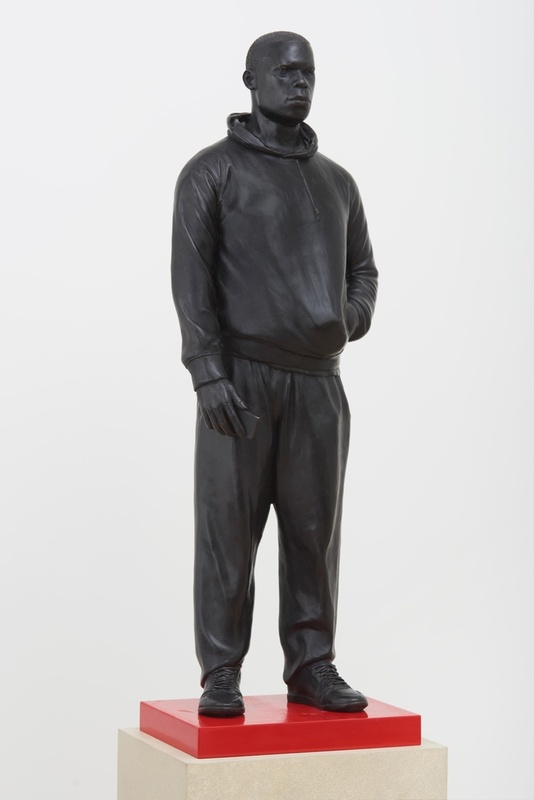 Frieze Sculpture 2017 opens today in The Regent's Park, London, and features the work of Thomas J. Price and Tony Cragg. Our 2009 collaboration with John Baldessari, Ear Sofa with Nose Sconces, is on view in the Unlimited sector of Art Basel. The work has been activated as a living tableau, entitled Ear Sofa: Nose Sconces with Flowers (In Stage Setting), 2009/2017. This rare iteration of the work is not to be missed! Beyer Projects congratulates Kay Rosen on her 2017 Guggenheim Foundation Fellowship. Shown above are our collaborations with the artist, from left to right: Sweet Jesus (2012) and Y (2014).